You'll be 2 blocks from waterfront in the "Coolest Small Town in America." Historic 1883 David Williams home in the heart of Beaufort. Enjoy the peace and quiet of Broad Street and walk to dinner at one of the famous restaurants. Beautifully furnished and updated. Bicycle, kayak and paddle-board or take ferry access across Taylor's Creek to Carrot Island and Shackleford Banks and Cape Lookout. Prices set for Apartment Suite-approximately 650 square feet. His and her bicycles available for use. Pet Friendly! Off street parking in private driveway or park on the street in front of the house. NOTE: The suite is located on the lower floor and is a private, locked-off space within the main house. Privacy is equivalent to what you would have in a multi-room Bed and Breakfast where the rooms have a common hallway. If you are looking for a secluded, isolated and completely private place strictly looking for a romantic getaway, this space is probably not for you. If however, you are looking for a private space with amenities and are here to explore this beautiful area, this is a terrific place. Read the reviews as we have been have been doing this for 18 months now. We respect your privacy and also welcome interacting with guests as much or as little as they like! We know lots about local attractions, restaurants and all the beaches and waterways of this huge county. We love opening our home up to guests and many return often. If you have any questions about the space or anything else, just e-mail me. We DO NOT do this strictly for the income or the money-we do it because the people who have stayed here have been so wonderful!! My name is David Spence. I grew up in Charlotte and attended Wake Forest University Law School. I have lived and worked in Beaufort since March of 2000 and just bought this lovely home in July 2016. I am an Assistant District Attorney and have done that for 25 years. I love all water activities, playing music, building custom fishing rods and wood-turning on the lathe. I love Beaufort and want you to love it also! This house is one block from my work and I fell in love with it the first moment I walked in. It was completely renovated in 2008 and immaculately furnished. The back deck and yard will undergo a complete transformation this winter, making it an outside space that can be enjoyed 10 months of the year. Rentals available just down the street. I am a member and can arrange guest discounts at one of the finest golf courses in the state, The North River Golf Club-http://www.northriverresort.com/golf/. David is an excellent host and the apartment is very clean, comfortable and attractive. I will be back! David and Amy are wonderful animal loving hosts. Very welcoming and they even let us use their oven so we could take fresh zucchini bread to our daughter's Thanksgiving dinner. Very comfortable and clean suite within easy walking distance of town. We'll definitely be back. My husband and I were in town coordinating a wedding for the weekend and absolutely loved our stay! David was wonderful and very accommodating. The guest house is adorable and very comfortable. We walked to dinner and around town since it was just a couple blocks away. We would definitely recommend David and we hope to visit again in the future! A wonderful stay in this Beautiful suite. We enjoyed a wonderful short getaway. The owners are very hospitable! They greeted us upon arrival and made us feel at home. This is a beautiful place, inside and out. We plan to be back. Had a wonderful time. Highly recommend. Beautiful historic home close to Front Street. So convenient to shops and restaurants in Beaufort. Staying at this home was a wonderful experience for us! David and Summer were the best hosts and their house is just beautiful. The suite is very clean and tastefully decorated. We had every thing we needed there and hope to return in the spring. Beaufort is a great place to visit! Visitors who want to take in the town and learn all the stories behind the homes and sites that comprise the Beaufort Historic District can easily do so via an in-depth tour. A number of historical tours are available through multiple vendors, which can include walking tours, bike tours, boat tours, and even themed expeditions like evening ghost tours. Stop by a local visitors’ center or take a stroll along the docks where multiple tour vendors set up temporary shop in the summer months to learn all about the options available. 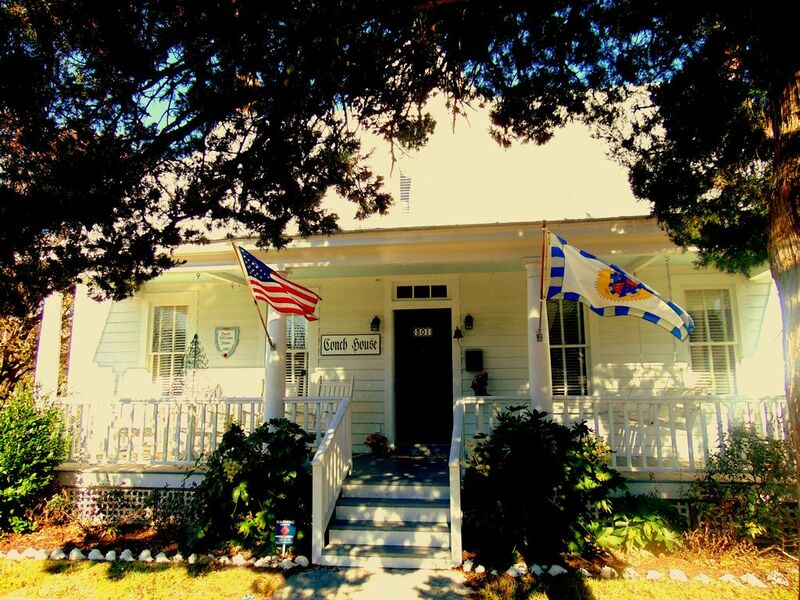 Another good starting point for learning more about the ancient homes and sites within the Beaufort Historic District is the Beaufort Historical Association. Located within the primary Beaufort Historic Site building, this local organization can point new visitors on the right path when it comes to a self-guided exploration. In addition, visitors can take the opportunity to discover the unique structures within the Beaufort Historic Site itself, or can book a town-wide tour in an authentic English double decker bus. There are also a number of resources for exploring that are available online. The Town of Beaufort’s Historic Preservation Commission (HPC) is a seven member panel whose goal is to identify, protect, and help preserve the historic architectural resources - and the historical setting - of Beaufort. They have a nicely detailed flier which outlines the criteria for a home that meets the Historic District designation, which is found here, and the HFC is a solid resource for homeowners and new owners who want to see if their home meets the requirements for being named a historical addition to the town’s landscape. But, for the most part, visitors who want to casually explore the Beaufort Historic District will simply want to step outside and go for a stroll. Start with Front Street, which hugs the borders of Taylor’s Creek, and then wind through the 12-block downtown area to discover a collection of architectural treasures. Visitors will want to keep an eye out for small signs and plaques that indicate a home or property of significance, as well as the NC Historical Markers which are found throughout this centuries-old community.